In their November commodities forecast, analysts at FocusEconomics note that while copper is stable compared to previous months, it is not going anywhere in a hurry. Copper was trading at US$6,211 per tonne on Wednesday (November 7) in the aftermath of the US midterm elections, which had US President Donald Trump out and about threatening more tariffs on China. The results, which are roughly what was predicted in the marathon lead-up, appear to have markets cheery as Congress splits between GOP and Democrat control, potentially limiting Trump’s tariff-happy agenda. So far copper’s journey through the beginnings of the last quarter of 2018 has been a bit of a roller coaster — starting not far from its current price, at US$6,170 on October 1. It almost fell below the US$6,000-per-tonne mark, touching US$6,068 on November 1, and has spent a handful of days above US$6,300 such as October 12, when it was valued at US$6,323 a tonne. The quarter’s values for the red metal so far show that copper is still very much a victim of negative sentiment, with Wednesday’s value a full 13 percent below the starting point for 2018. 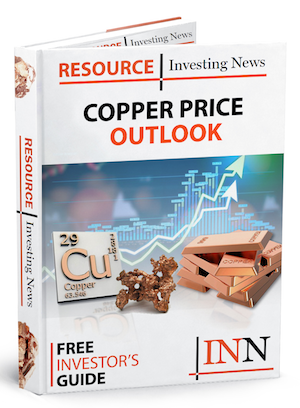 In their November commodities forecast, analysts at FocusEconomics noted that while copper was stable compared to previous months, it was not going anywhere in a hurry. “Prices in October were supported by a significant drop in inventory levels — to the lowest in a decade — which outweighed fears of slowing global growth and trembling stock markets,” said the report. LME copper stockpiles have spent most of the quarter below 200,000 tonnes, and are currently around 175,000 tonnes. “Nevertheless, copper prices slid once again at the end of October, largely due to weak Chinese economic data,” analysts said. The report explained that deceleration in China’s third-quarter GDP growth was behind falling demand from what is the world’s largest copper consumer. Despite a Chinese slowdown, and the US President’s comments about tariffs, analysts said that copper’s usefulness meant that new technologies would drive demand in the medium- to long-term. Economists polled by FocusEconomics are erring on the side of positivity for now, with the average value for Q4 in 2018 set at US$6,324, for a longer-term hike to US$6,699 in the same quarter of 2019. 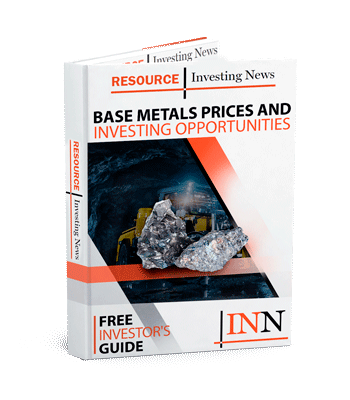 The minimum forecast for the current quarter however, was from economists at RBC Capital Markets in Canada, which forecast US$5,512 for the red metal in Q4, whereas the maximum forecast was from Handelsbanken in Sweden, which was an optimistic US$7,000 a tonne — almost US$800 above today’s value.